This Black Nitride BCG M16 / AR-15 complete bolt carrier group is treated with Black Nitride for enhanced durability, lubricity, and easy cleaning. Carrier is made from 8620 steel, bolt is made from 9310 steel and is MPI tested, shot peened, and batch HP tested. 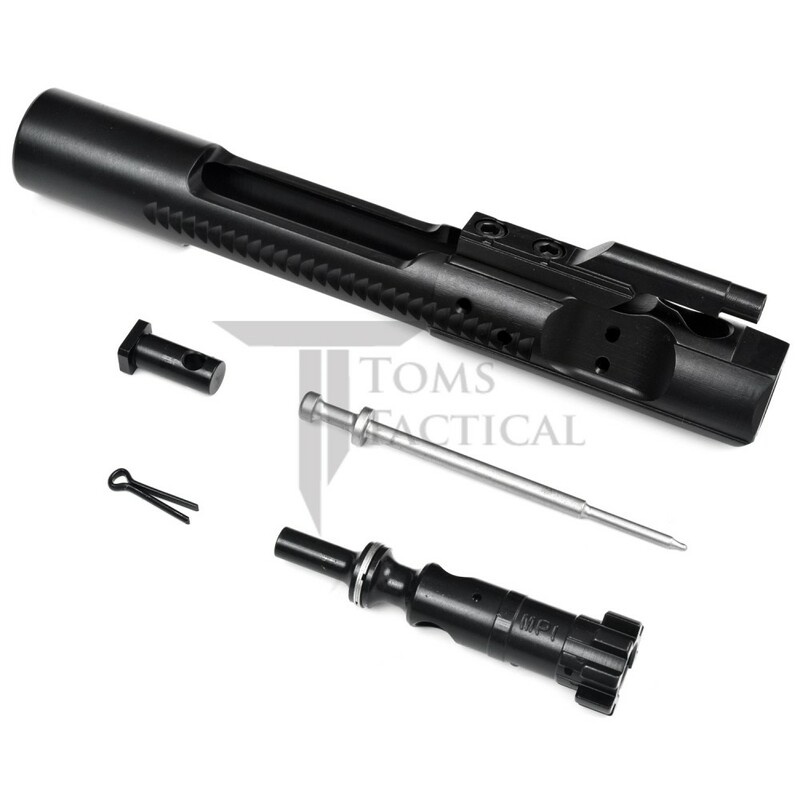 The Bolt and Bolt Carrier Assembly comes complete with cam pin, firing pin, and firing pin retainer. This bolt carrier group will work with any mil-spec AR-15. This is the newest version V2 with improved design and finish. All Tom's Tactical brand products include a lifetime warranty. This product comes assembled. I love this BCG! Better quality than many of the common name brands and way better price. Extremely well finished, I don't have many rounds down range yet but functiona flawlessly so far and I'm sure it'll hold up for years to come. I will be searching for more Tom's brand stuff on my next build. The first 200 rounds through this BCG, finish is very durable, not one mark of wear as of yet. Comes with a good quality nitride finish, smooth in the action and easy to clean with just a simple wipe down. BCG appears to be of high quality and cycles well in my Aero Precision 10" barrel, pistol length gas system AR pistol w/standard spring and H2 buffer. Will be buying another soon for my next carbine build. Great BCG, no machining marks and the bore is very smooth. I've spent twice as much on other BCG's that did not have as much attention to detail and craftsmanship. The materials used for the carrier and bolt are also on the higher end. Very happy with this purchase. Looks and runs great. Fired approx. 250 rds. mixed ammo so far (brass and steel case) with no issues of any kind in my MForgery built from parts from various suppliers. Also very fast shipping. I ordered this BCG in September for my Aero Precision build and now have about 500 rounds on it. It is well-built and has performed flawlessly. 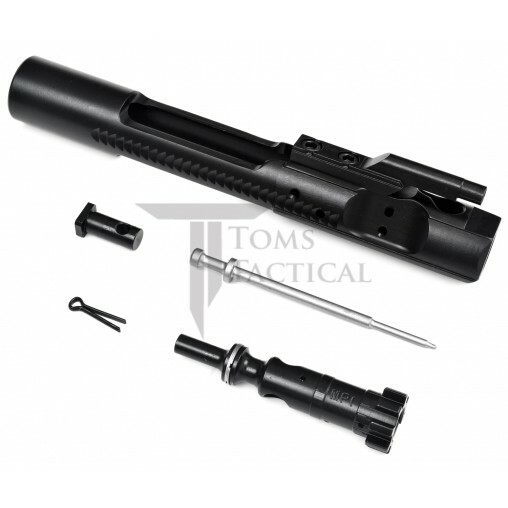 This BCG includes everything, and the bolt and pin operate smoothly in the carrier. I would not hesitate to recommend it and I would surely order another one for my next build.